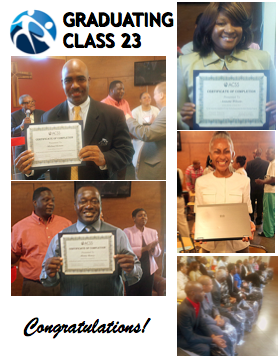 Graduates of Class #23 are career-ready thanks to ACSS CareerWorks training and some generous gifts from their keynote speaker. After a powerful and moving speech, Jacqueline Plair-Rushin, director of global deployment and corporate services at InterContinental Hotels Group, presented each graduate with a gift consisting of a high quality rolling computer bag, professional folios and a WiFi-ready laptop computer. 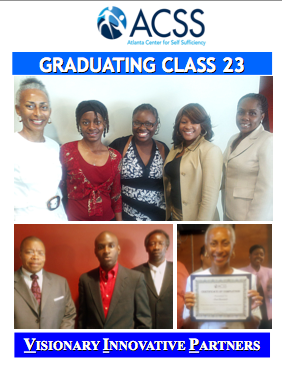 The graduates and audience were ecstatic! Thanks, Jacque, for going above and beyond! You too can help ACSS empower homeless individuals to reach their full potential to thrive in life! Take action here. About CareerWorks: CareerWorks is an intense job-readiness and life skills program that prepares homeless individuals for permanent, full-time employment. Click here for details. 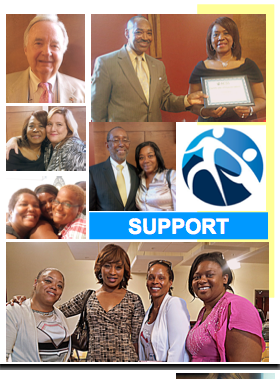 About Atlanta Center for Self Sufficiency: ACSS is committed to breaking the cycle of homelessness in metro Atlanta and beyond. ACSS empowers homeless individuals to achieve economic self-sufficiency and their ultimate potential to thrive in life. 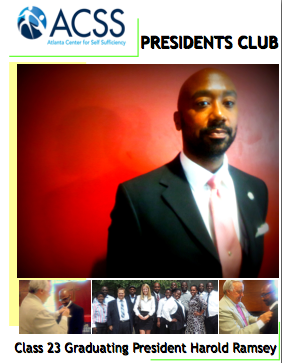 Please visit our website at AtlantaCSS.org. We’re also on Facebook and Twitter.